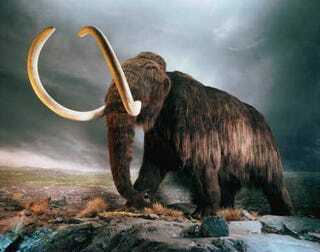 Using ancient DNA from Siberian specimens, a team of Australian researchers have managed to resurrect the proteins of mammoth blood and figure out precisely how they survived such a hostile environment. "It is the same as if we went back 30,000 years and stuck a needle into a living mammoth.... This is true palaeobiology, as we can study and measure how these animals functioned as if they were alive today." Cooper's team discovered that mammoth blood functioned as a sort of anti-freeze: able to remain liquid enough to deliver oxygen even though most mammalian blood thickens as the temperature drops. As to the inevitable comparisons to Jurassic Park, Cooper says the technique relies on DNA, which is not preserved in fossils, making it unlikely it can be used on species such as dinosaurs that died out millions of years ago.